From the Beginning . . . The Burlington Chiefs deep lacrosse roots started in 1976 when the team formed as the Hamilton Bengals. The Bengals were a Junior A team who battled against the likes of Peterborough Gray-Munros, Whitby C.B.C Builders, Rexdale Warriors, Lakeshore Maple Leafs, Bramalea Excelsiors among others. Wayne Stringer was among the top ten scorers in the clubs inception. That year, the Victoria MacDonalds won the Minto Cup defeating the Bramalea Excelsiors. In 1983, Hamilton had their sights on the Minto but were unfortunately defeated by St Catharines 4 games to 1. The next season in 1984, the Hamilton squad would merge with Burlington to create the newly formed Bay Area Bengals. The Bengals would remain until 1991. Of note, the squad won the Tier 2 Championships in 1985, just a season after the teams merged. 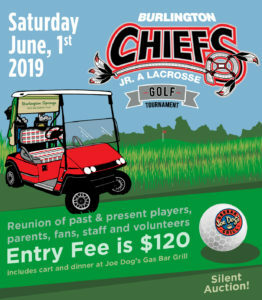 Fast forward to today, the squad operates as the Bay Area Bengals Lacrosse Club however is known as the Burlington Chiefs. The Chiefs have seen many players and coaches over the years who, now alumni, are doing amazing things. Countless championships, memories and broken sticks make up our story and we look forward to writing the future chapters of players to come. Copyright © 2019. Bay Area Bengals Lacrosse Club.